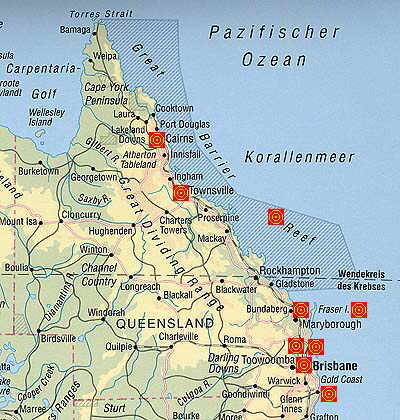 In Queensland 3,34 million inhabitants are spread on an area of 1,727 million square kilometers (value in 1998). Queensland is known as the sunshine state and is therefor famous for holiday trips. Some reasons are various beaches and national parks, hiking trails in the rainforest and the nearby Great Barrier Reef.